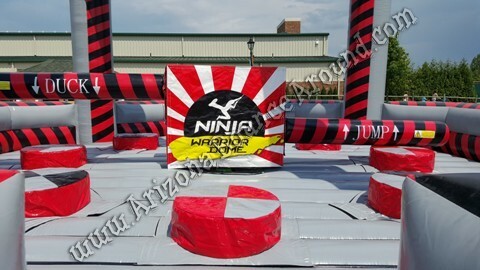 Our 8 player Ninja Warrior Dome is a multi player game for ages 8 and up or 42" and taller. 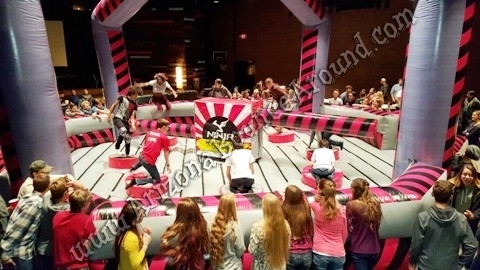 This game features two spinning booms that players try and jump or duck as it spins. 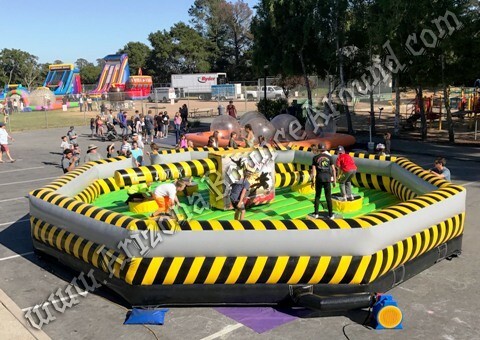 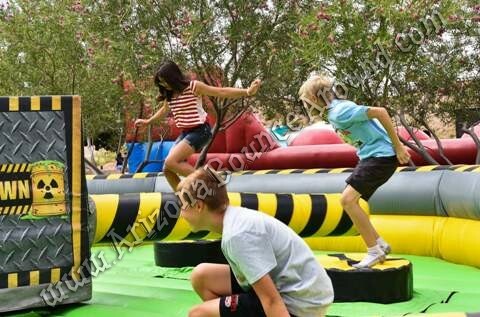 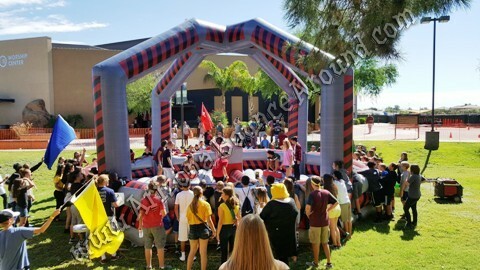 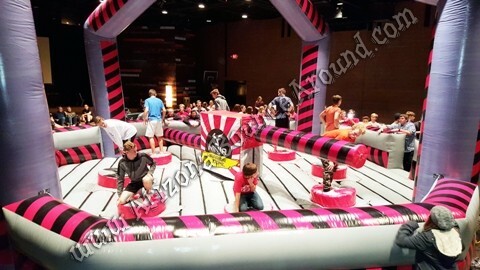 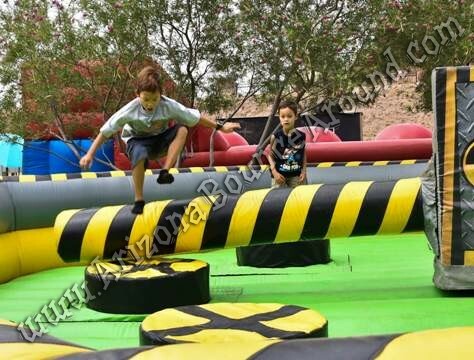 The Ninja Warrior Dome comes complete with an operator and will be a big hit at your next party or event. 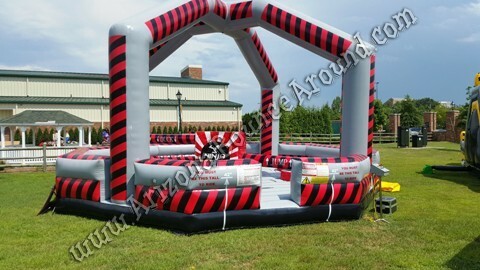 We can customize the center graphics with your Company Logo, Mascott or message for themed events. 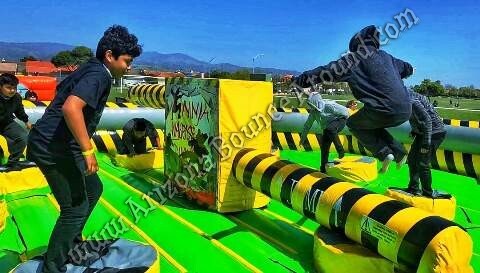 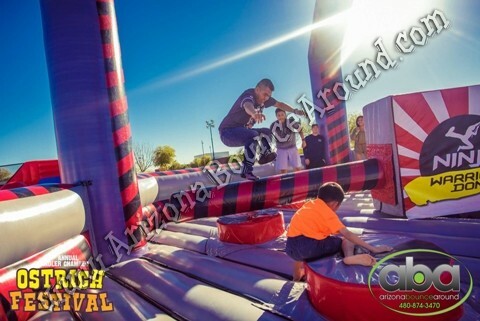 Ninja Warrior Challenges are super hot and we have several ways to play this game like running thru a Ninja course, 8 players on the pedastals or some other cool ideas we use at your event. 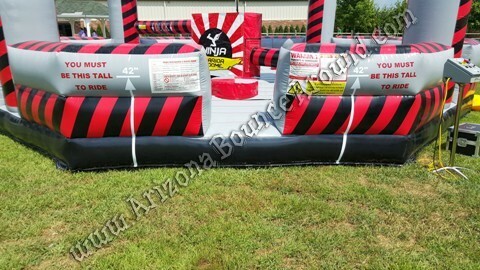 Be sure to add the Ninja Warrior Ladder Challenge or our Ninja Warrior Rope Course to your order.